I wanted to stop by for a second today and thank all my wonderful followers! Thanks to you guys I have now reached 20 followers. :) I would also like to thank you for all the sweet comments I have received. I love reading each one and they really make my day! 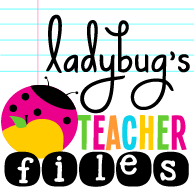 On another note, I wanted to stop by and let you know about the newest product in my TpT store. I have seen so many of these floating around Pinterest and decided to whip one up last night! This is available for purchase in my TpT store for $3.00. If you would like a customized version to fit your current classroom needs please email me after you complete your purchase with your request. I have also received a request to create Daily Schedule Cards to match the Classroom Library Labels I have available. What would you like to see included in these daily schedule cards? Leave me a comment below and let me know! High Five Friday... On Saturday!